Vertcoin (VTC) mining with GPU requires a special miner called vertminer that is essentially a modified version of cgminer 3.7.2. 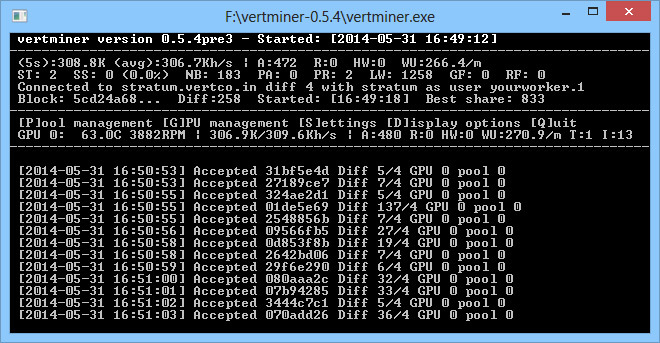 The latest version of verminer 0.5.3 is designed to be used for mining VTC on AMD-based graphic processors. Note that the hashrate you will get by mining VertCoin with this modified mining client will be lower than what you get wen mining traditional scrypt based crypto coins. VertCoin (VTC) uses Scrypt-Adaptive-Nfactor algorithm and not just the standard scrypt algorithm that makes it ASIC proof and harder to mine, but also making it another very interesting alternative to most other alt crypto currencies that are essentially cloning BTC or LTC by using either SHA-256 or Scrypt algorithm. What is important to know is that you will not be able to mine VertCoin (VTC) with the standard cgminer, you need to use this modified version. 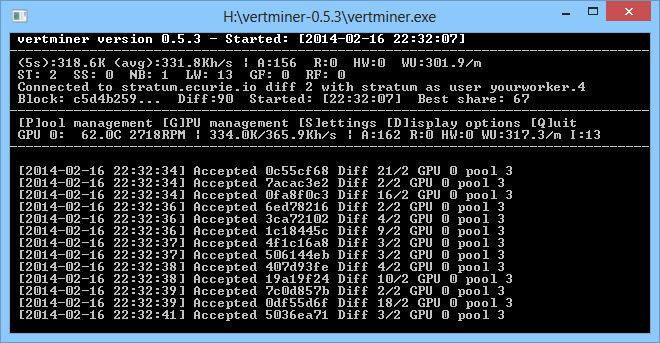 Below you can find a download link to the latest vertminer 0.5.3 for windows.